Turnkey palletizing cells, including input and output conveyors, dedicated "grippers" and safety equipment. Robots with manipulated loads up to 800 kg including the "gripper" with feed option pallet. Available "software" for automatic generation of programs. 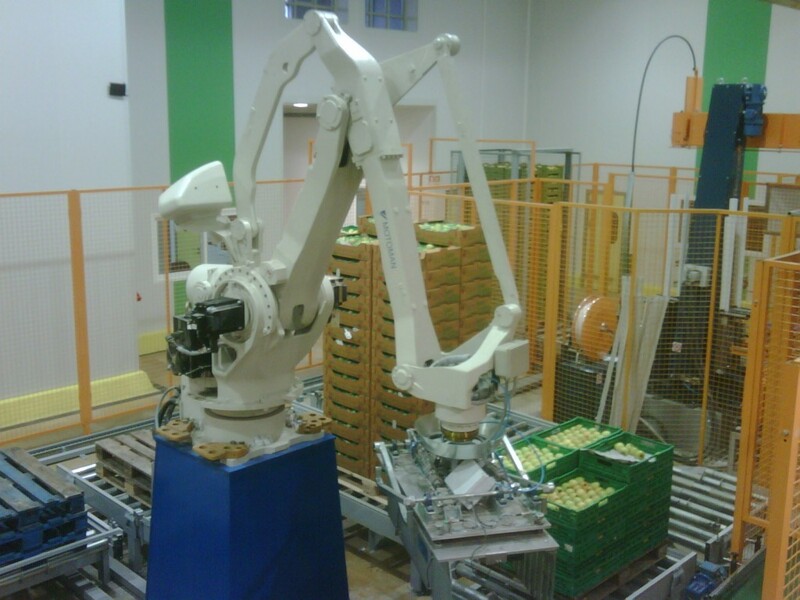 ROBOPLAN has large experience in full automation of palletizing lines.